Genius is at work at Nintendo who has had the bright idea of joining their portable and home console development teams for the first time. 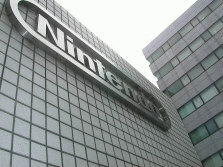 According to the Nikkei news outlet, the reason for the merger will be to develop new capabilities into their portable console such as allowing home console games to utilize the technology available in their portable consoles including the 3DS. Might this be a hint at the possibility of Nintendo’s next portable console having an HD 1080p screen which would allow for streaming of games from the Wii U to the portable similar to the GamePad? Probably only a dream at the moment. Other possibilities could include streaming pokemon back and forth from the 3DS to the Wii U. Either way, expect more unique game features to come out of Nintendo in the near future!